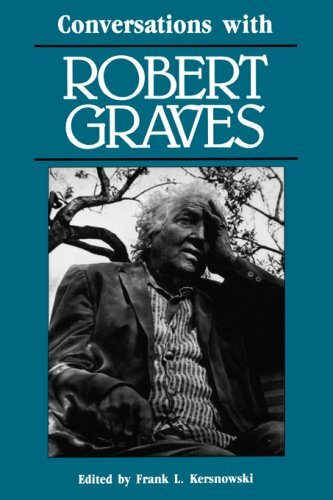 Amazon.com description: Product Description: Though he lived most of his life in the remote village of Deya on the island of Mallorca, Robert Graves (1895--1985) was conversant with the most important issues of this century and was acquainted with many of the most powerful people. Jorge Luis Borges called him "a soul above." Graves wrote almost restlessly on subjects of great diversity: myths of the Greeks, Romans, Hebrews, and Celts; modern science and economics; contemporary society and culture as well as of ancient Greece and Rome, of Celtic Wales and Ireland, of the time of Milton, and of the American Revolution. He was a poet of great fame, a celebrated writer of historical novels, and the man who imprinted the name and identity of the White Goddess upon the cultural language. His translations of Latin classics have been applauded; his recastings of Biblical and Persian texts attracted irascible attention from scholars. Goodbye to All That; The White Goddess; I, Claudius; and King Jesus-preserve his literary art. The conversations in this collection keep alive his presence and passion.